Good news this week for those working in the dentistry sector: Mydentist, the biggest dental organisation in Europe – from the start of this month (April), the group is bringing in five new levels of nursing and also increasing the minimum hourly rate for all qualified dental nurses. 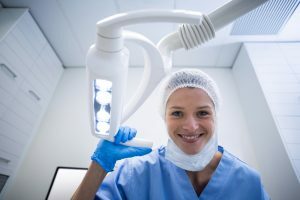 Some £2.5 million is being invested in the organisation’s career progression programme, with 4,000 dental nurses set to benefit from this pay increase, Dentistry reports. This has been designed to recognise how important dental nurses are in practices, with the new nursing structure including qualified, advanced and head dental nurses, as well as student dental nurses. The criteria for advancement between each of these roles will help support people in furthering their career ambitions, with the Mydentist academy organising and providing training. Commenting on the news, group chief executive at IDH Group Tom Riall was quoted by the news source as saying: “Our nurses are extremely important and we want them to feel valued, rewarded and recognised for their hard work and to build their careers with us. Mydentist itself has helped to meet the needs of eight million private and NHS patients at more than 650 dental practices around the UK. Services include check-ups and treatments, dentures, dental implants, safe tooth whitening and more. Need to stock up on dental polishers? Check out our website now.